How Do You Get Your Content Marketing To Be Successful? Let’s look at some characteristics of effective content marketing. 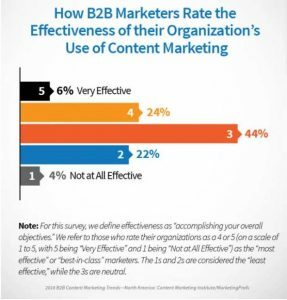 55% believe content marketing is an important part of their marketing mix. In North America, over 80% of all brands practice content marketing (and it is steadily increasing), but less than half of these brands find it effective. PS: Effectiveness is defined here as “reaching overall business goals”. 88% of all UK marketers mentioned that they would produce more content than they did in the previous year. All of these figures show that it is a new industry in high growth. In this article you will learn what makes your content marketing excellent. Here are 4 examples of content marketing done correctly. I do not like to use the word “campaign” in connection with “content marketing”, because Content Marketing is not a campaign with end date. It is a long-term, strategic marketing approach where you continuously provide valuable and relevant content to a clearly defined target group. Coca-Cola’s “Share A Coke” gave everyone the opportunity to personalize their favourite drink. 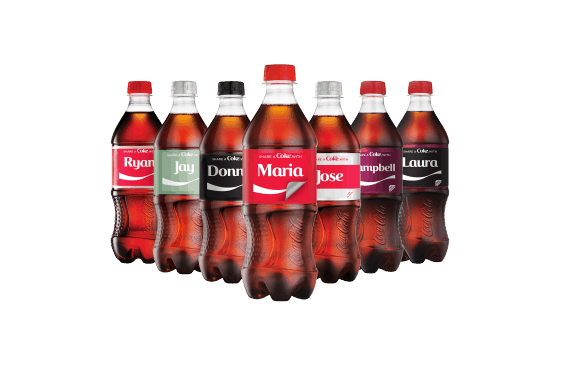 The logo of all Coca-Cola bottles was replaced by 150 of the most popular first names. The result was (as desired) people would buy even more Coke. Everyone talked about the brand. Why was this content “campaign” so successful? The answer is: Personalisation. Coca-Cola made you feel special and important. It is this personal quest that is at the heart of successful content marketing. Coca-Cola used the most inspiring word for any customer; their name. Everyone’s favourite topic is themselves. What can we learn from this? Customers have feelings – how do you want them to feel? Personalization and affiliation is a key. Buffer is a social media automation tool. It helps you plan new posts in social media as well as measure the results of published posts. It is not their product that is so good. That’s the way they market it using Buffers Open Blog. Their focus is transparency. It sounds simple (and maybe a little scary), but it’s clever. Throughout the blog, Buffer does not only show what they are doing and how they are doing it, but they teach you exactly how to do the same. 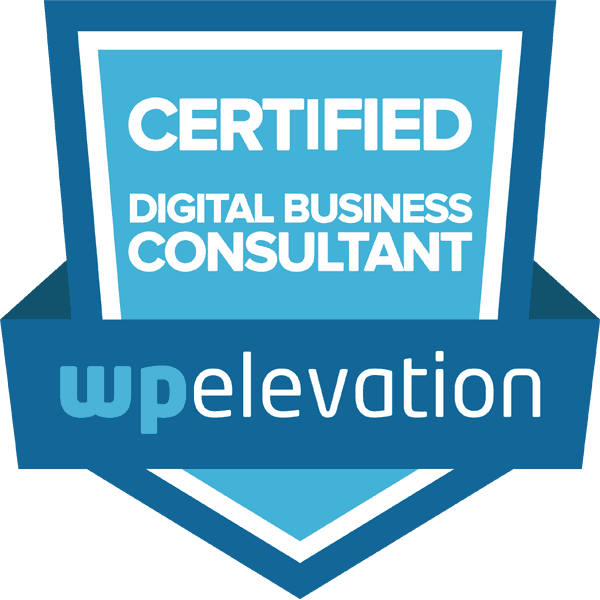 They give you an incredible amount of value in every blog post. When you read their blog, it’s like you’ve got the key to a secret club (The Velvet Rope Effect ). Buffer tells the stories people want to hear. They find solutions to specific problems for specific people, and this makes them fight well. 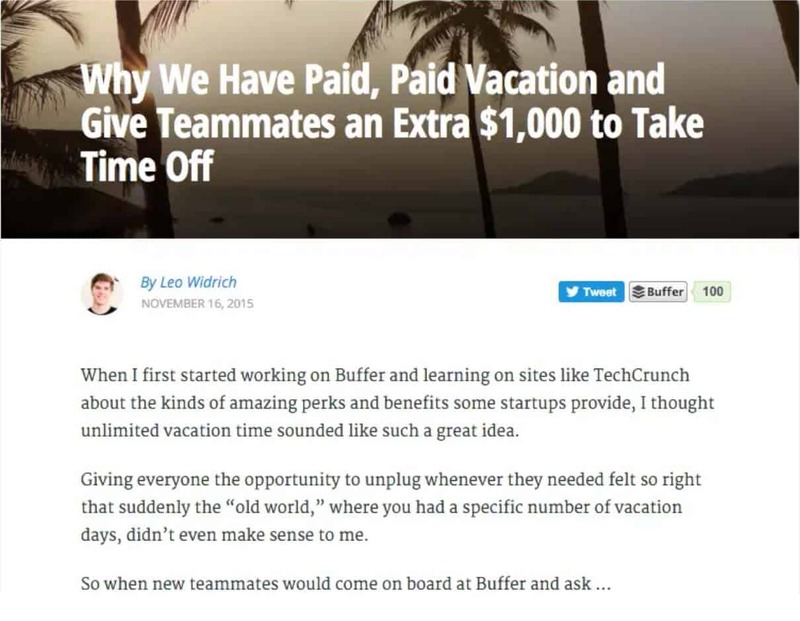 What can we learn from Buffer? Focus all your energy and time on value. Inform and teach your customers something new. Tell them what solutions your brand uses behind the scenes. How else will they find out how excellent your business really is? HubSpot is an innovator in marketing. They are such a great innovator that it was actually HubSpot who introduced the term “Inbound Marketing” to the world. HubSpot does the same as Buffer – they produce huge amounts of valuable information to help the reader take the marketing to the next level. I am no customer of HubSpot, but for me they are still a very important resource. Their guides (e-books, webinars, whitepapers, etc.) are detailed, very educational and not least free. Their guides are of high quality, relevant and engaging, which is also the key to better search rankings. What can we learn from HubSpot? We must create epic (heroic and impressively great) content. Perhaps it sounds a little obvious, but what’s important to know is that quality and relevance triumph over quantity. What GoPro understands is that visual content is incredibly effective. Information graphics and visual content increase your traffic. The marketing strategy for GoPro is largely about quality – both quality content and quality products. With 6.7million YouTube subscribers and 15.2 million followers on Instagram , we can safely say that GoPro knows how to create visual quality content. They only focus on the user. What do their customers like? Of course they like pictures – incredibly nice pictures, so GoPro gives them this. According to the award-winning entrepreneur and marketer Neil Patel, information graphics, among other things, can double your traffic – if you do it right. 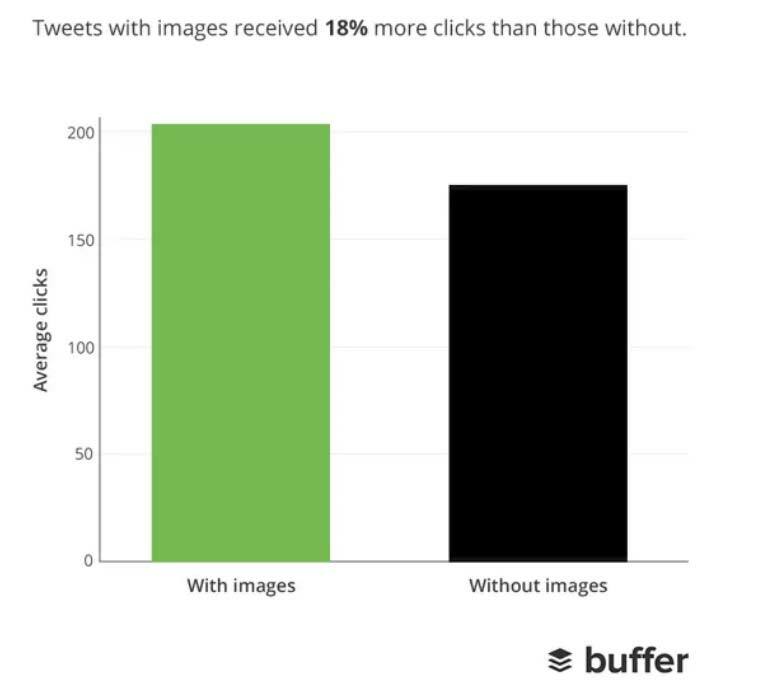 Posts with pictures engage the user more than those without. What can we learn from GoPro? Use emotional images. Visual content is becoming increasingly effective in content marketing. Tell Educational and Inspirational Stories: Readers learn something new from you that will remind them of your brand for a long time. Be honest, transparent and open: Then the reader will trust your brand. Personalise where possible: This will give the reader an emotional connection to your brand. Quality over quantity. But can you do both? 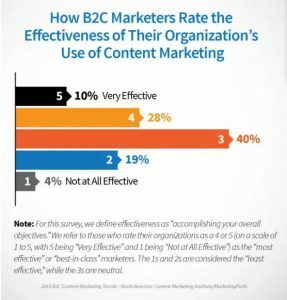 Do this and you’ll notice that your content marketing will perform better. Do you know of any other examples worth highlighting? Please let us know in the comment field.